A recent study conducted by two Swedish chemists proves that adding a bit of water to whisky does in fact improve the overall taste. I know that adding water to whisky is common but I always thought it was the equivalent of asking for ketchup at a nice steakhouse. I have a great uncle who did that and it’s still a running joke in my family… tip don’t do that in a steakhouse. The team conducted a series of tests to determine how and why adding water contributes to the taste enhancement by specifically focusing on the presence of guaiacol, an organic compound found in drinks like whisky and coffee. Guaiacol is used in the creation of flavors such as vanilla and can be found when wood is smoked or burned, such as the charred barrels that global distilleries use to create their finished whisky products. This study centered on the presence of ethanol (main ingredient of whisky) and what happens when it is diluted from its common 70% alcohol by volume to its standard 45% alcohol by volume state. Yes, whisky already had water added to it when you buy it, so why would anyone want to add more? The team discovered that adding a bit of water (starting with a few drops) causes the ethanol content of the drink to rise to the surface because it has a higher density. Guaiacol isn’t a fan of water and tries to stick closely to ethanol which is now concentrated on top of the drink. Adding water actually makes the taste more potent and enriches the aroma of the drink and if you’re a foodie like me, you know that smell has a lot to do with taste. So there you have it, adding an ice cube or a splash of water to your whisky will enhance the flavor, so bottoms up and cheers! 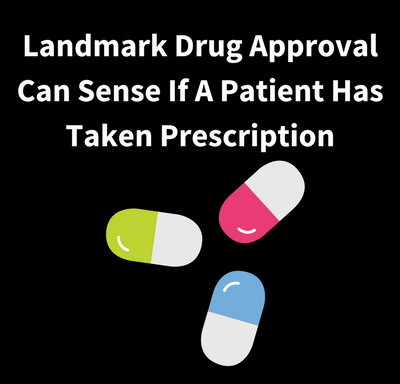 You can read the full study published here. 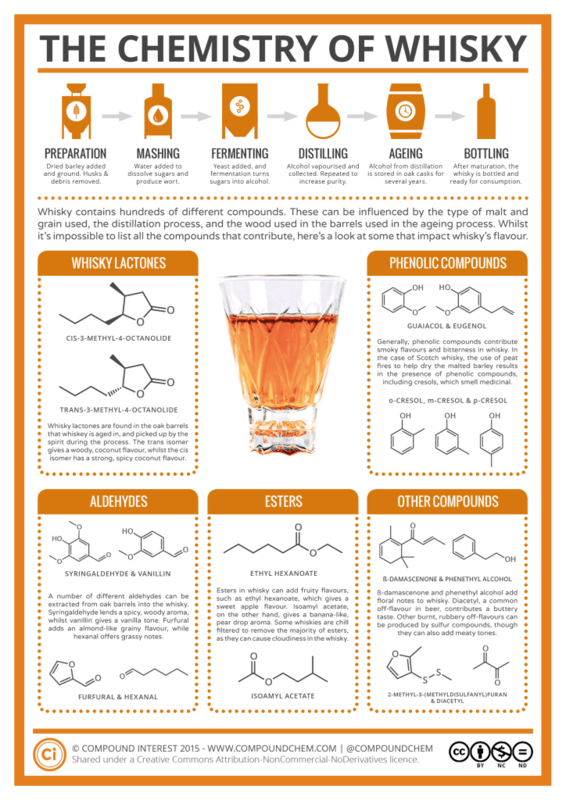 Just for fun, check out The Chemistry of Whisky infographic published on compoundchem.com. 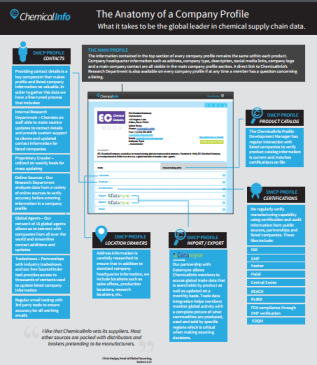 At ChemicalInfo it is our mission to connect buyers and sellers of chemicals and pharmaceuticals with the most accurate sourcing and procurement data available. Earlier this year, we announced the integration of U.S. waterborne import-export information based on ship manifests and bills of lading from our partner, Descartes’ Datamyne. A leading provider of global market intelligence, Descartes Datamyne has released its 2016 U.S. 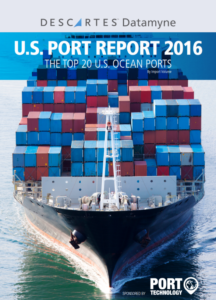 Port Report covering the top 20 ocean ports in the United States. This report includes detailed information about top importers, countries of origin for incoming shipments, and a breakdown by top HS products (ranked by value) at each individual port. If your business is not using trade data to monitor competitor activity, qualify buyers and find new suppliers, then it’s probably missing out on new ways to find global business opportunities. Download the complimentary report now and see for yourself how trade data can provide your business with valuable insights. In a recent article published by Chem.Info it shared that a recent study conducted by a team from the Mississippi-Alabama Sea Grant Consortium has seen that tiny microfibers have been flowing down bathroom sinks and shower drains and into our oceans. Comfy articles of clothing made from fleece, nylon and polyester contain these tiny microfibers and each time those pieces of clothing are washed, once the water drains it is carried through our water systems and many times end up in the ocean. I am the first to admit, I love my athletic wear, especially my yoga pants even though I haven’t been to a yoga class in years and am not the most athletic person. On any given day if you were to show up to my house I can say with 99% certainty that I would be sporting a beloved pair of yoga-riffic pants. The study shows that everything from our oceans to the Great Lakes contain high concentrations of these deadly plastic microfibers and that marine life is becoming contaminated as well meaning that when we all eat the seafood we enjoy so much you are basically eating tiny bites of athletic wear, ugh. University of Florida researcher, Maia McGuire hopes that with more data and studies conducted into the increasing problem of plastics and chemicals invading our water supply that manufacturers of washing machines and water treatment plants will be able to improve water purifying technology to protect marine life. 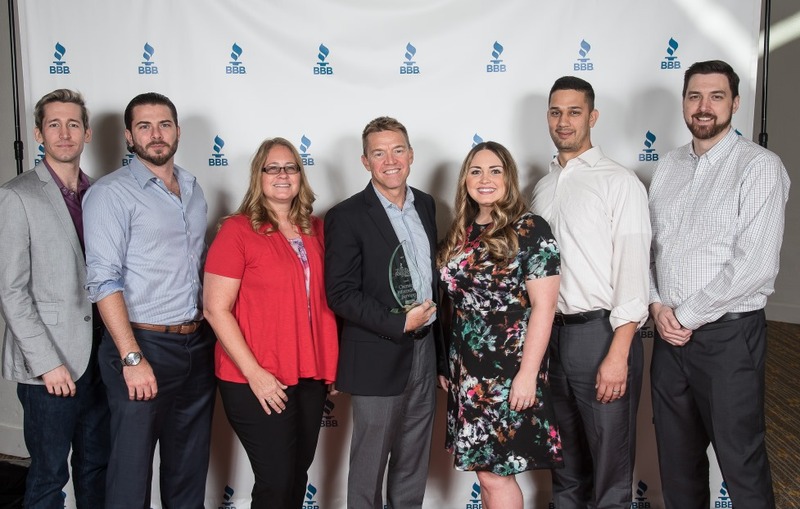 An article published in early 2017 by Quartz Media found that in 2016 sportswear revenue grew by almost 7% dominating the clothing industry once again. 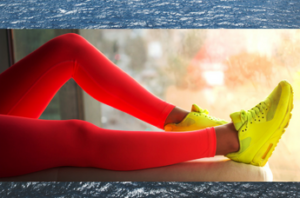 With total global sales for all apparel and footwear reaching $1.67 trillion in 2016 the literal trillion dollar question is, “Will you give up your yoga pants to save our oceans?”. Posted in blog, Industry NewsTagged chemicals, oceans, plastics1 Comment on Would you give up yoga pants to save the sea? Today I purchased multiple bags of candy to pass out in a few days to eager trick-or-treaters in my neighborhood. Staring at the bags of candy on my counter I decided to open one piece and cure my craving. Bad idea. Three pieces later I am officially done and know that I have ruined my goal of cutting back on sugar intake. I’ve heard from healthy conscientious friends that giving up bread, fat, alcohol or even meat aren’t nearly as difficult as it is to truly give up sugar. Did you know that every time you eat sugar your brain releases dopamine? Dopamine is a neurotransmitter that actually tells your brain it’s happy, therefore it really feels like treat to eat sugar. If a little is good then a lot is great right? Wrong. For some people the urge to feel rewarded can be compounded into an addiction issue causing a person to want more to feed the craving and cutting back on sugar can actually leave your brain feeling the effects of withdrawal symptoms. Sugar also affects the release of serotonin which makes the brain feel happy, so when you stop eating sugar and your serotonin levels drop you can actually feel depressed. Yikes! I recently read an article by the American Chemical Society concerning a protein calls brazzein that is 2000 x’s sweeter than sugar. 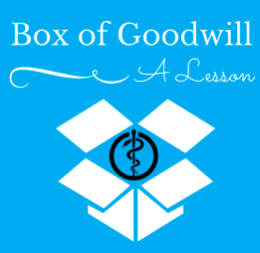 Although brazzein hasn’t been approved by the FDA there are tons of other substitutes on the market. I can see the appeal of the no or low calorie sugar substitutes but doing a quick search online there is no shortage of articles concerning the ill effects that sugar substitutes also play on a person’s health. So what is a person to do with the holidays around the corner? Just say no to all sugar! Just kidding. Completely avoiding sugar during holidays is almost impossible, after all tis the season for baking. Your best bet is to try and satisfy your sweet craving with a natural alternative like fruit or go ahead and indulge but in moderation. Plus if you completely binge on sugar then at least setting your new year goal will be easy.